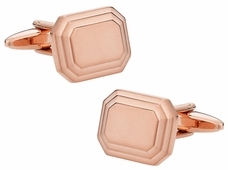 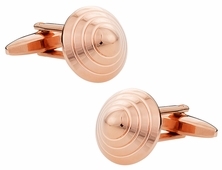 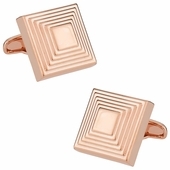 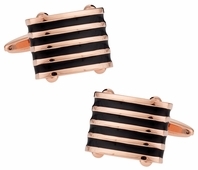 Our most popular design involves a thin stripe of mother of pearl imbedded into a rose gold cufflink. 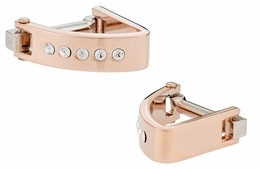 It is so popular that it prompted us to carry it in three different finishes. 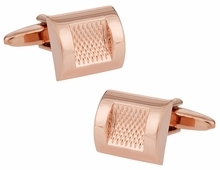 If your tastes run to the innovative consider the barrel in Rose Gold which offers a gold stud for the cufflink set, a barrel like that of a beer barrel. 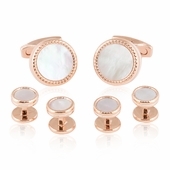 They are small but attractive pieces that show your discerning style. 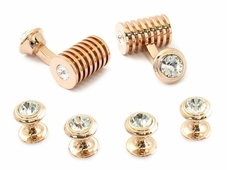 Perhaps you truly like to be unique versus typical with Swarovski crystal designs? 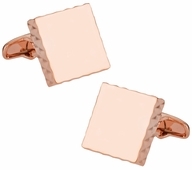 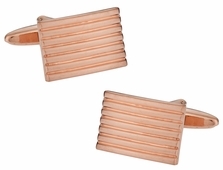 If so you might find the square wrap rose gold is a better choice. 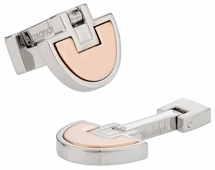 You have options with crystal inlays or simple squares with grooves. 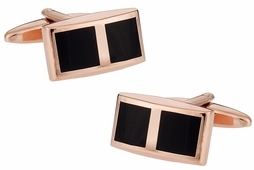 They wrap around the cuff in a stylish manner. 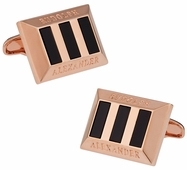 You can also go with step ribbed, wedge or triangle ribbed cufflinks in a simple wrap around design. 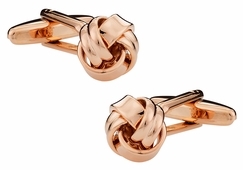 For the traditional person in your heart consider choosing the double knot. 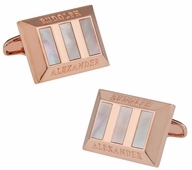 The double knot is perfect for weddings just as the other designs mentioned. 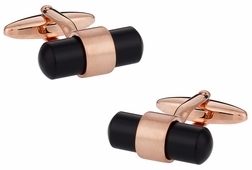 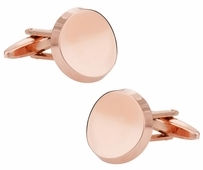 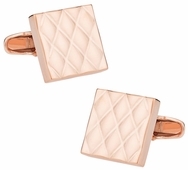 So, if you don't have any rose gold cufflinks in your collection, you are late to the party. 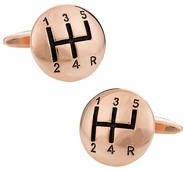 Mix it up a bit and try a pair. 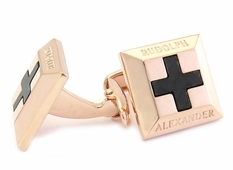 You'll be very pleased. 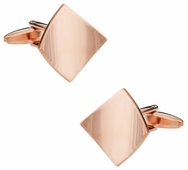 hundreds of designs to choose from! 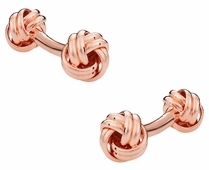 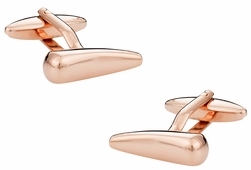 Rose gold is a type of coating which gives jewelry a stunning and unique appearance for an inexpensive price. 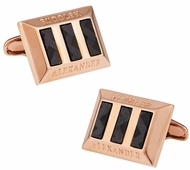 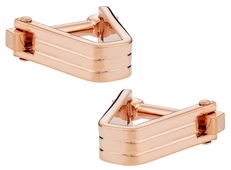 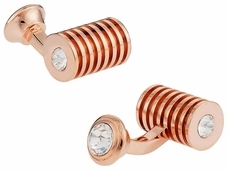 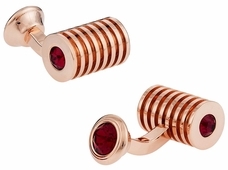 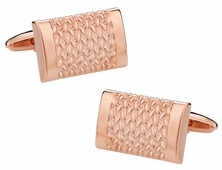 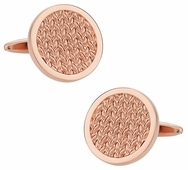 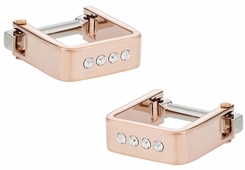 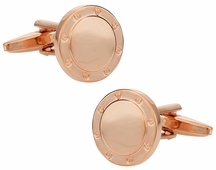 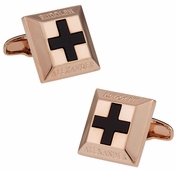 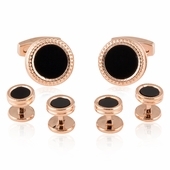 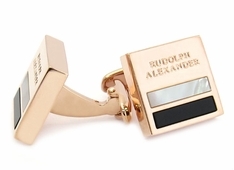 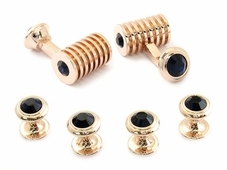 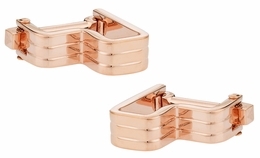 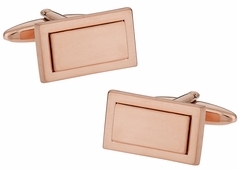 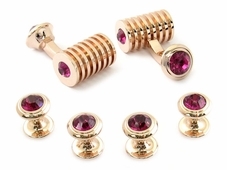 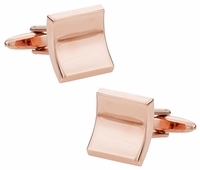 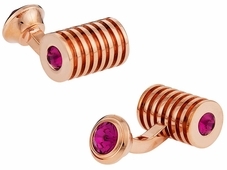 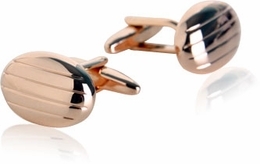 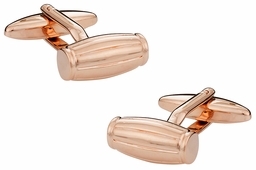 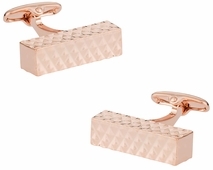 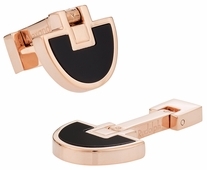 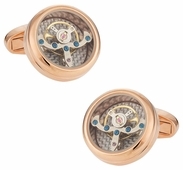 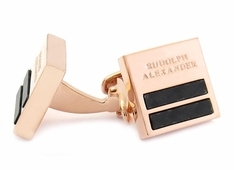 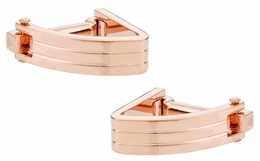 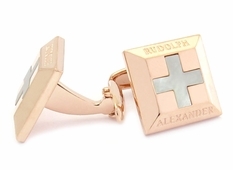 If you love gold but do not want to flaunt 14 karat gold, Rose Gold cufflinks are the perfect choice. 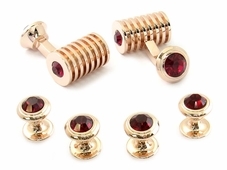 A number of different options exist for those with sophisticated tastes. 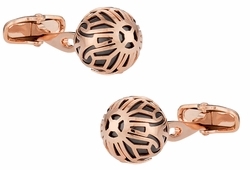 The Swarovski Rose Gold Caged Pearl with a white or black pearl inside is just one of the many choices you have. 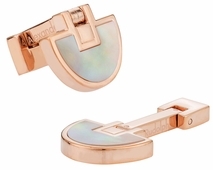 The pearl is made of crystal in a beautiful rounded shape just as if the clam would have made it from sand. 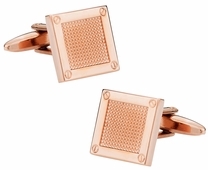 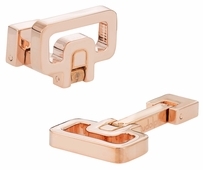 Rose Gold is not only delicate like the Swarovski design, but handsome such as the Rose Gold Geometry look. 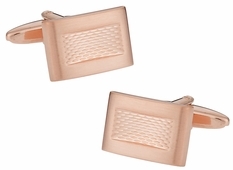 With a rectangle within a rectangle this rose gold setting offers a unique creation that men will truly enjoy. 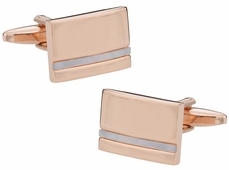 Cuff-Daddy, LLC, 11763 Owens Glen Way - Suite 120, North Potomac, MD 20878.